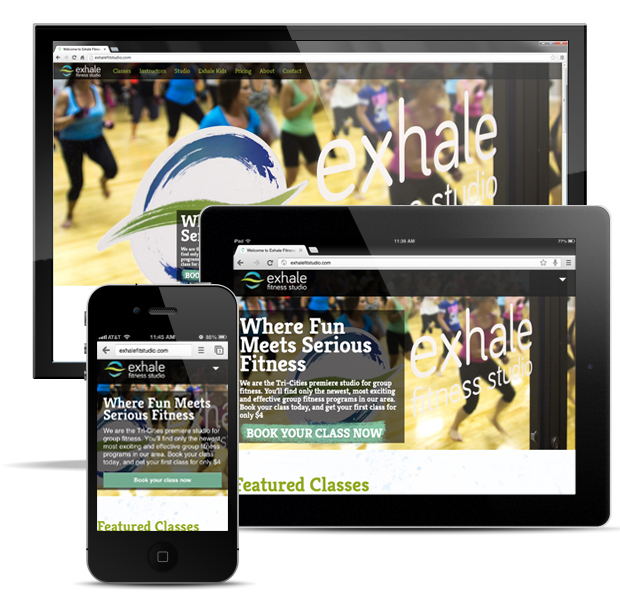 Exhale Fitness Studio is an exciting new group fitness studio in Johnson City, TN! (Well maybe, I should reveal that it’s also my wife’s business.) As a new start-up we needed branding, for web and display, web design, and various promotional materials. The web site features a responsive design that adapts to the width of the browser making it work great on any device, and featured class section that displays featured classes based on the day of the week.